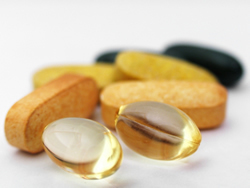 Developing your brand’s own line of private label health supplements can help set your brand apart and give your customers products that will improve their health and wellbeing. Vitakem has been helping people like you manufacture their own private label health supplements for many years and we have all expertise required to help ensure the success of your product line. Whether you want to use one of our 200 stock formulations or you have your own supplement formulation in mind, we can assist you in every step of the process. From formulation testing and label design to manufacturing and packaging, we can handle it all. State of the art equipment and only strict GMP manufacturing techniques are followed ensuring your product is safe for consumers. Fast turnaround and inventory management so that your private label health supplement is produced quickly and your stores stay supplied. Excellent customer service. Your contract agent will guide you through the process and answer any questions along the way. FDA labeling expertise that helps avoid product delays and/or fines. Competitive pricing by using our vast network of quality ingredient providers. We can find high-quality ingredients at the best prices. Vitakem has been helping both startups and established brands manufacture their own private label health supplements for many years and we would be happy to assist your company in creating a winning product as well. Contact us today for a free quote or to learn more about Vitakem’s private label health supplements manufacturing services.